WALL CLIMBING - NOW in Coimbatore...! Students of today are leaders of tomorrow. The future leaders are expected to carry a large..
Teachers and faculty are the primary role models for students outside their homes..
All our expectations were fulfilled. 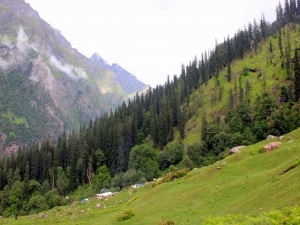 We experienced in and out of Manali very well. Had fun filled evenings with everyone. All the trainers were caring and loving, Especially Dheenu is awesome, entertained us, very well. Leaving Manali, NALS camp Half minded. A Wonderful experience. Arrangements were very comfortable and safe. The instructors were very professional, took extreme care of safety was the topmost Priority. Well planned and executed. Food was very good with a different menu for each day. 05 May 2015 hoping to return. We are very glad to give this feedback to NALS. We got a good experience by attending the Camp. We feel an enormous change in us. Hospitality given by you was excellent. We would like to have more and more training and workshops regarding the corporate structure to us. Love you all. NALS adventure camping challenges are designed to bring our leadership instincts in you that you would possibly not learn elsewhere..
NALS uses experiential learning techniques like adventure camping and trekking to develop family bonding, survival instincts and leadership skills. NALS is a consortium of professionals from defense, corporate and adventure sport domains for whom leadership training through adventure has become a passion. 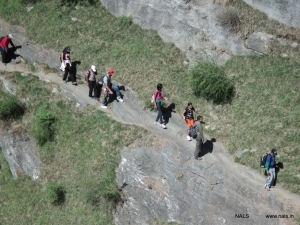 NALS programs provide wholesome outdoor experiences that will unleash potential leadership capabilities of participants. A whopping 25,000+ participants have visited NALS during the past 10 years. This milestone was achieved on 15 Dec 2018. We thank all our customers, our current / former employees, channel partners, business associates and vendors for the support, trust and faith in NALS. Register here now to receive NALS adventure newsletters, details of upcoming programs and events..